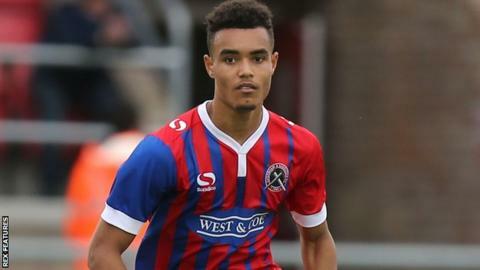 League Two strugglers Dagenham & Redbridge have extended the loan spell of West Ham United defender Josh Pask. The 18-year-old centre-back will now remain at the Chigwell Construction Stadium until 13 December. Pask, who joined West Ham's academy at the age of eight, has made five appearances since joining the Daggers last month. Dagenham are currently bottom of the fourth tier, winning only one of their 16 league games.